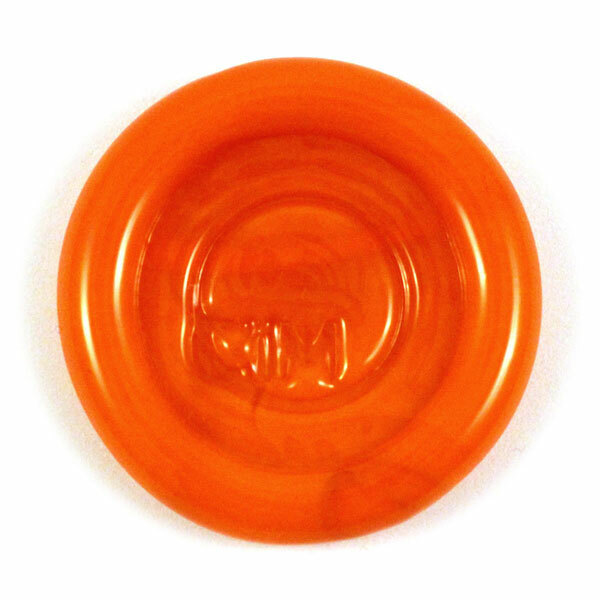 A bright transparent orange that turns opaque when worked. 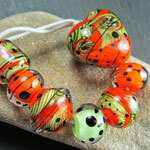 Click here for other interesting Tiger Lily Ltd Run discoveries. Special thanks to Jolene Wolfe & Heather Kelly for providing the photos in this section. 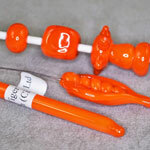 “The finished beads are virtually identical, but the unworked rods are quite distinct. 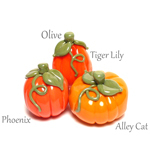 Both Tiger Lily and Effetre Dark Zucca seem to have a slight transparency in areas that have not been heated and cooled multiple times, which adds to the juiciness of the colour.” Read more at Dwyn’s blog. 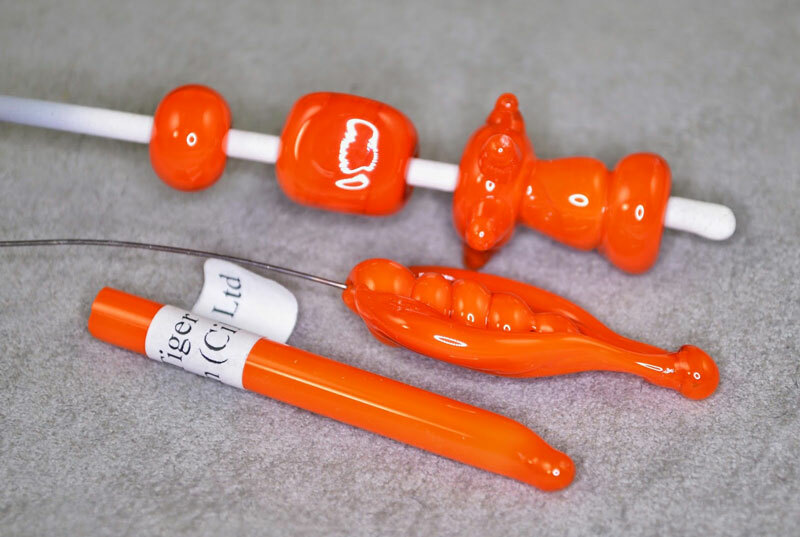 “Tiger Lily is almost the exact same colour [as Effetre Dark Zucca], but the colour of the unworked rod is much truer to the end result - making this glass more ‘WYSIWYG.’” Read more at DragonJools blog. "Tiger Lily is a semi-opaque/semi-transparent orange [whichever way round you prefer to describe these!]. I used a core of clear for these gremlins, so you can see where that changes or doesn’t change the body colour. Here you can see there’s a difference between the body and lips, but the body is still opaque enough not to see through. It is also streakier." Read more at Heather's blog. 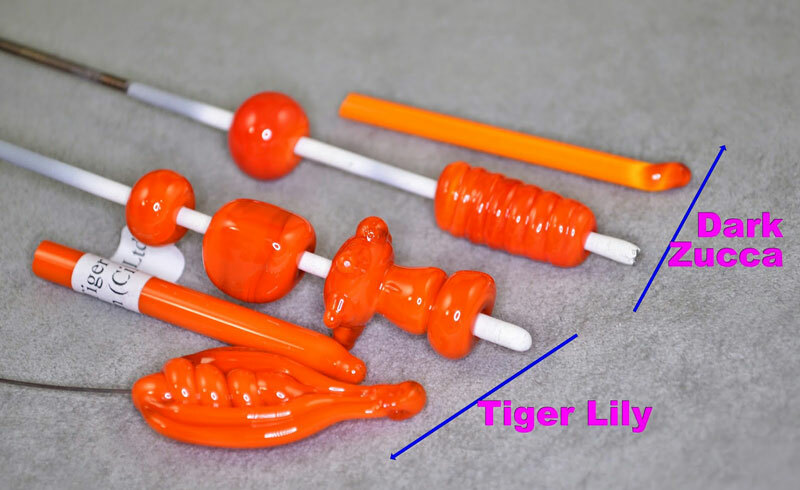 "Tiger Lily is a vivid orange opaque with a high concentration of gloss. 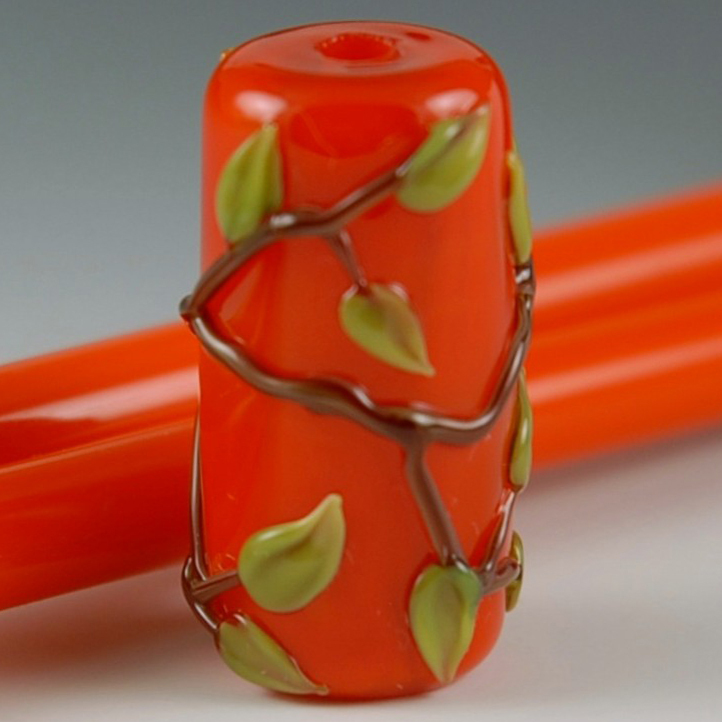 The quality of glass was delightful to work with in the flame. No shocking or bubbling experienced. 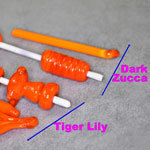 The juicy color is perfect for a variety of applications. 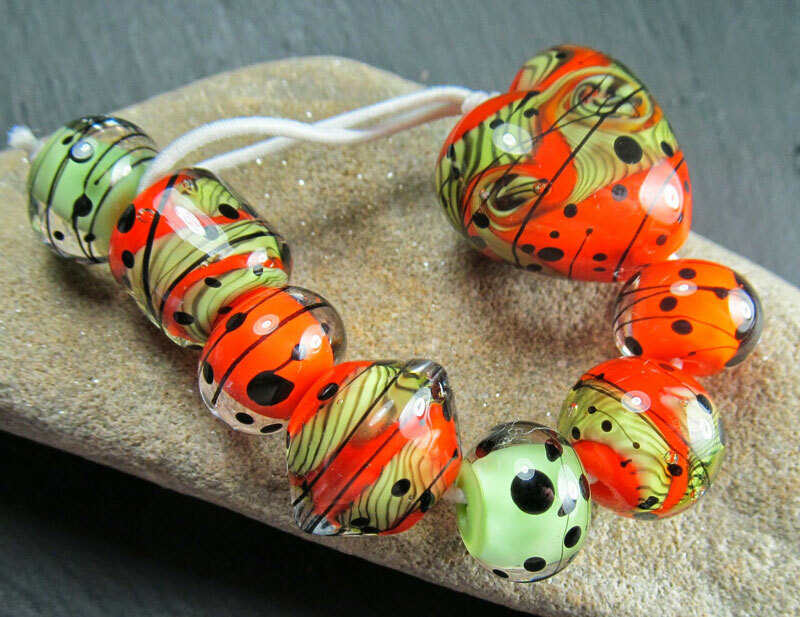 Under encasing, the color is a bit lighter, however the vivid glass remains bright. 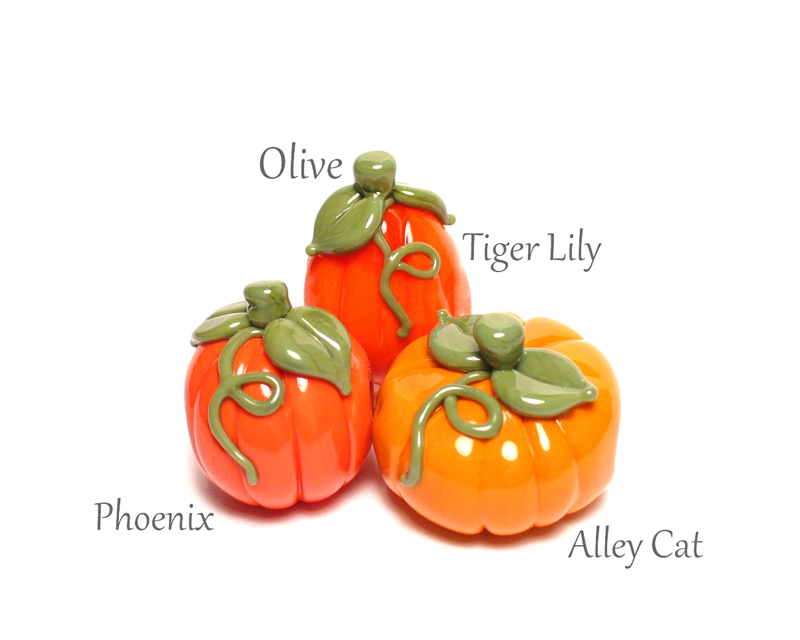 Tiger Lily flows beautifully over an Effetre Clear core as demonstrated in the pumpkin." "The first thing I noticed is that in wrapping spacers, the orange kind of separates and striates, and loses most of the density. 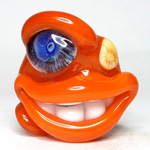 It's not necessarily as opaline as the actual CiM Opal colors, but it does lose some opacity. 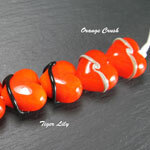 It also darkens a little when not covered with encasing." Read more at Kandice's blog. 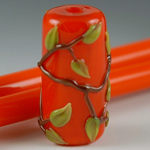 “I've found that Tiger Lily looks a touch paler under clear encasing.” Read more at Kitzbitz Art Glass’ blog.